The Artist's Resale Right, also known as droit de suite, refers to the right of artists to share in the profits when their art work is re-sold. It's also one of the most pressing issues in the world of visual art, particularly in Canada, where legislation is currently being drafted and debated. The Artist's Resale Right (ARR) is said to have originated in France in 1920, after Jean-Francois Millet's 1858 painting, the Angelus, changed hands numerous times and eventually sold for 800,000 gold francs. Millet had already passed away, but his family lived in poverty. ARR was established to correct this kind of imbalance and to give artists (and their families) some share in the increased value that artworks sometimes achieve after their initial sale. Royalties are typically only paid on works which are sold publicly (most commonly at art auctions), and that have met a minimum selling price. An arts or copyrighting agency is usually appointed to collect and distribute resale royalties. In Australia, the measures of the Resale Royalty Right for Visual Artists Act came into effect in 2010. There, all artworks which sell for $1,000 Australian dollars or more qualify for a resale royalty of 5%. Artists must be Australian residents, and if the artist has passed away, resale royalties continue to be distributed to the artist's beneficiaries for 70 years after the artist's death. The European Union's ARR was introduced in 2001 through the Resale Rights Directive. Although several countries had previously introduced ARR, under the Resale Rights Directive all EU countries were to put some form of ARR into effect by 2006. Member states set their own minimum sale price requirements and royalty rates for ARR. For example, in the UK the qualifying threshold price is 1,000 euros (about 900 British pounds or $1,400 CAD) and the royalty rate starts at 4% for the first 50,000 euros of the selling price (with the rate dropping incrementally for the portion of the sales price above 50,000 euros until the portion of the price above 500,000 euros awards only 0.25% to the artist). Also, in the UK the maximum royalty per artwork is capped at 12,500 euros ($17,500 CAD). Although the UK’s original ARR legislation only applied to living UK artists, beginning in 2012 resale right will extend to qualifying works by deceased artists. Meanwhile in Denmark, for instance, the royalty rate is a set 5% for all works selling for at least 3,000 Euros ($4,200) and the ARR can be collected by an artist or by his or her estate. The result in Europe has been a valuable income source for artists and their families: in the UK alone, since 2006 over 10 million pounds have been distributed to over 1,800 artists. California is the only state in the USA to offer ARR. The California Resale Royalty Act (1997) ensures that artists are paid a 5% royalty for works that sell for more than $1,000 USD and which are sold at a higher price than what the seller originally paid. Eligible sales are those that occur within California, and the artist must be a United States citizen or California resident. California’s ARR applies to sales that occur during the artist’s lifetime or within 20 years of the artist's death. Canada does not yet have Artist's Resale Right legislation, but CARFAC (Canadian Artists' Representation/Le Front des artistes canadiens) is currently working with artists to advocate for an amendment to the Copyright Act that would include ARR. CARFAC points out that many Canadian works, particularly those created by Aboriginal or isolated northern artists, have much higher sale prices on the secondary market than at the original sale. Further, artists' dedication and continued work are often factors in the increasing values of works, yet the artists do not see the benefits of this work. 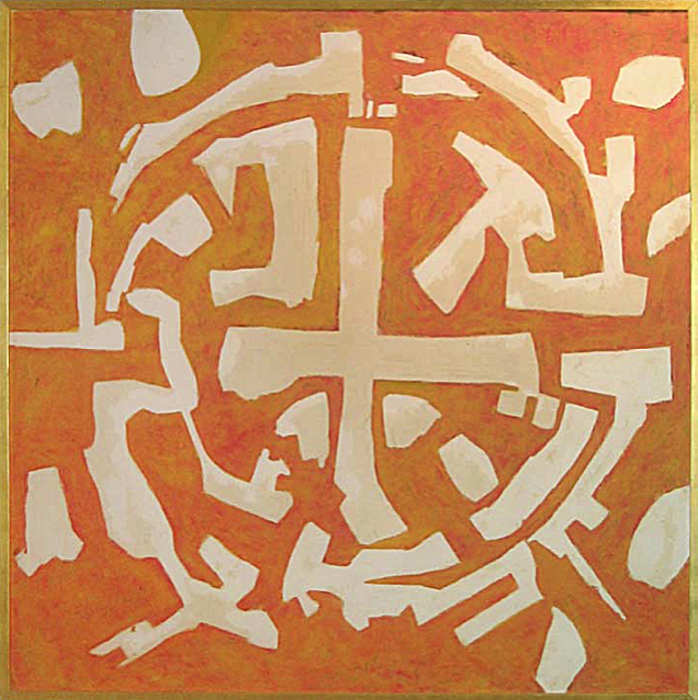 CARFAC uses the example of Tony Urquhart's The Earth Returns to Life, a painting that was originally sold for $250 but that was later resold at a public art auction for $10,000. 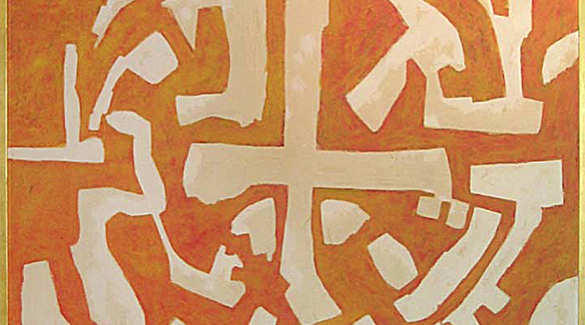 And in 2006 Byzantium Sign #5, by Regina Five artist Ron Bloore, sold at Waddington’s Canadian Fine Art Auction for $55,200, far surpassing the artist’s previous auction record of $4,700 (and the auction house’s estimate sale price of $2,000-2,500). Bloore was 80 years old at the time, and no longer selling work in the primary market, but if a 5% ARR had been in effect he would have received a royalty of $2,760 and thereby have benefited from the escalation in the value of his artworks late in his life. CARFAC proposes a 5% resale royalty rate, for artworks which sell on the public secondary market for a minimum of $1,000 CAD, and suggests that the Canadian Artists Representation Copyright Collective Inc. (CARCC) has the resources to administer ARR in Canada. How might ARR benefit Saskatchewan artists? Read NAC's Repeat Sales Values article to find out. Jess Boyachek is a Regina-based writer and researcher. Her writing has appeared in University of Regina publications, in Splice magazine, and on the web. In 2011, she was a participant in the Saskatchewan Writers' Guild's Mentorship Program.